We meet every Sunday at 10:45am. In this service we receive some teaching, pray together, worship God through music, and on the first Sunday of the month we share Communion together. Both contemporary and traditional elements are included in all services. We are very much a 'Come as you are' church - there is no special dress code and we will always do our best to make everyone welcome! Our buildings are very old and grade II listed, but we do have wheelchair access. When we come together, Jesus said 'where two or three come together in My name, there am I with them' (Matthew 18:20) so when we come together to worship God, He is present among us by His Spirit and we can expect to meet with Him - this is truly awesome! So when we meet we can expect to meet with the Living God! 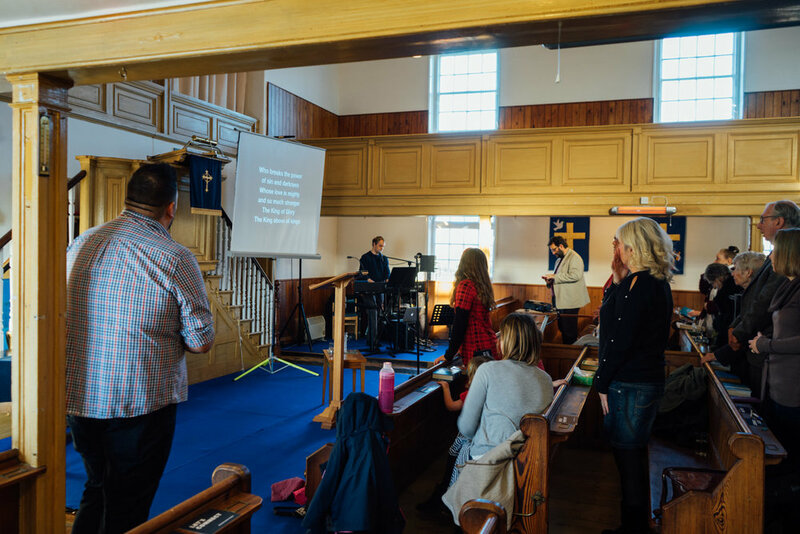 We sing together songs and hymns of praise to God - the best of the old and the best of the new and to make things easier, the songs are generally projected onto a screen - so there's no need for hymn books and finding the numbers! We generally have a reading from the Old Testament and the New Testament. We have church Bibles for anyone who would like to follow the readings and show the Chapter, Verse and page number on the screen, to make it easy for people to follow. We read from a modern translation of the Bible - the New International Version, to make it easier for people to understand what the Bible says. We do have large print copies of the Bible for anyone who requires one for the service. The person who is preaching, leads us in prayer during the service. Sometimes there is the opportunity for those who wish to pray out loud during the prayer time, no one is forced to, but some of us do like to pray out loud so that everyone can share in their prayer. Other people prefer to pray silently - it's up to you. We believe that prayer is important, because God answers our prayers! 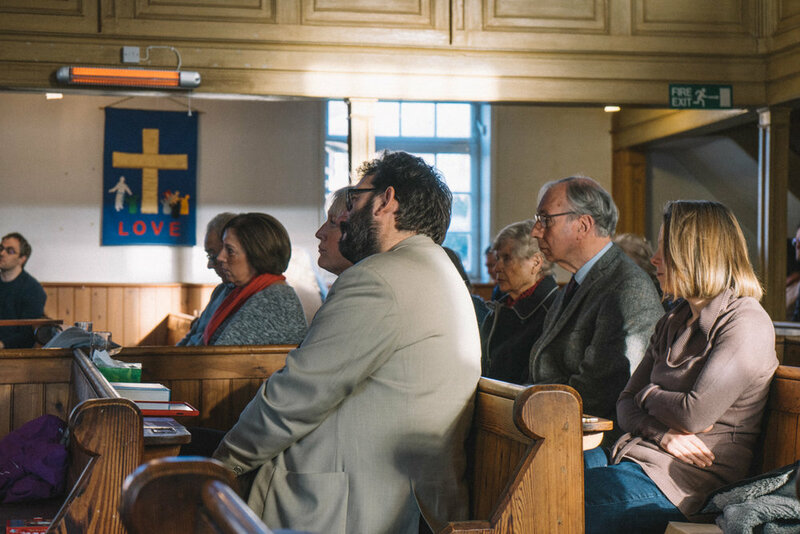 In a normal service, we will hear a sermon - that is, the preacher will explain and open up the Bible readings (see the 'What do we believe' button to the left of the screen) and we will look at what God has to say to us today - we do live in the Tweny-first Century after all! 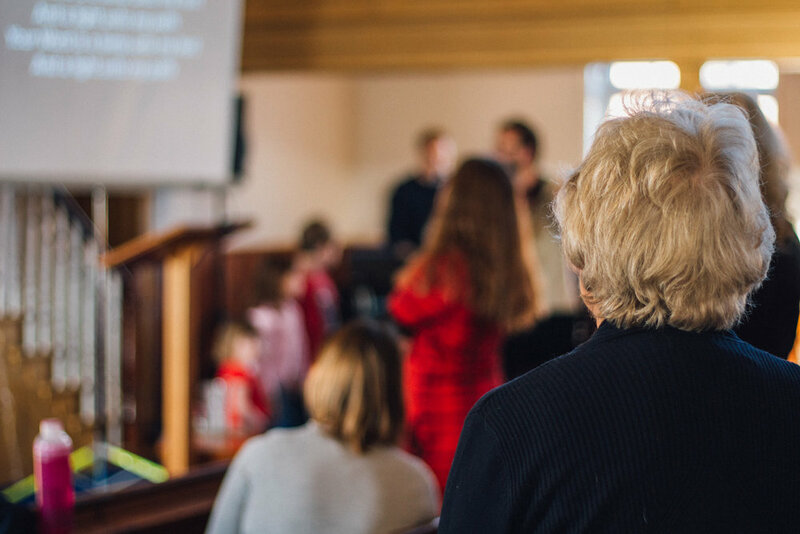 We look at how we can come to know God and how we can live in ways which please Him - a sermon usually lasts about 20 - 25 minutes (in an all-age worship service there is usually a shorter talk). For hearing aid users, we do have a loop system and people need only to switch their hearing aid to the 'T' position. We are always delighted to welcome all the family. We do not believe that children are 'the church of tomorrow' - they are part of the church of today and that they need to be welcomed and helped to feel part of things. God loves everyone without exception - so the church is for everyone! We do have DBS checked Sunday club leaders who have been trained - we take good practice and child protection very seriously and everything we do with children is governed by 'Safe to Grow' - the Baptist Union's child protection policy. We share bread and (non-alcoholic) wine, remembering that Jesus, God made human, died for us - His body was broken and His blood was shed so that all the wrong we have done could be forgiven and that we can come into a personal relationship with God. Anyone who has a personal faith in God is welcome and warmly invited to share it with us (see 'What do we believe?). We share communion in the service on the first Sunday of each month. Services usually last an hour and half. This is combination of sung worship, open prayer, sermon and a time of reflection and ministry. After the service, we usually go into one of our halls for a cup of tea/coffee and enjoy one another's company for a while. God is present among His people, so our time together is special. Come and see us - have the experience for yourself!